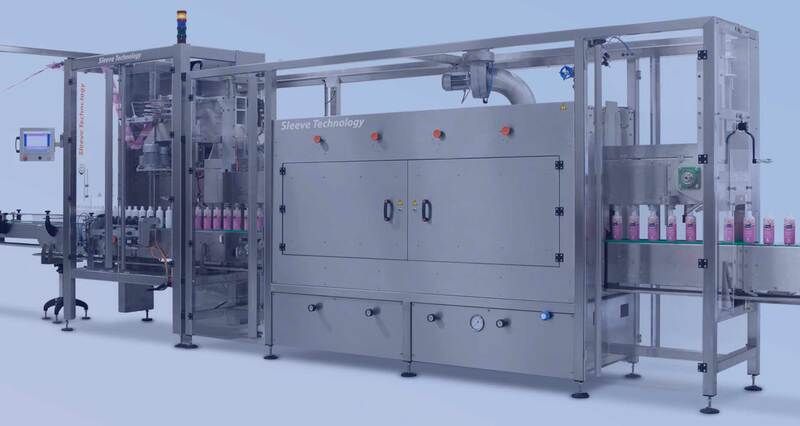 The Sleeve Technology HSSA 1500 Dual Lane sleeve applicator is an unique and flexible double lane applicator, which can be used to sleeve products in two lanes simultaneous. This double lane applicator, made out of the highest quality materials, is perfect for full body sleeves or full body with tamper evident (guaranty seal) sleeves. Being exceptionally reliable and possessing two lanes the HSSA 1500 applicator doubles your sleeving production and makes the delivering of a continuous stream of sleeve onto your products easy, day and night. Another advantage of having the two lanes is independent function of the sleeving heads which guarantees production. The polished stainless steel housings and conveyors are hygienic and are designed for easy operation. All the high precision components of the machine are controlled with one easy-to-use touch-screen control panel which is the beating heart of the machine.